Thank you to all our members who braved the cold and joined us for our last Dive In! and final event of 2017! 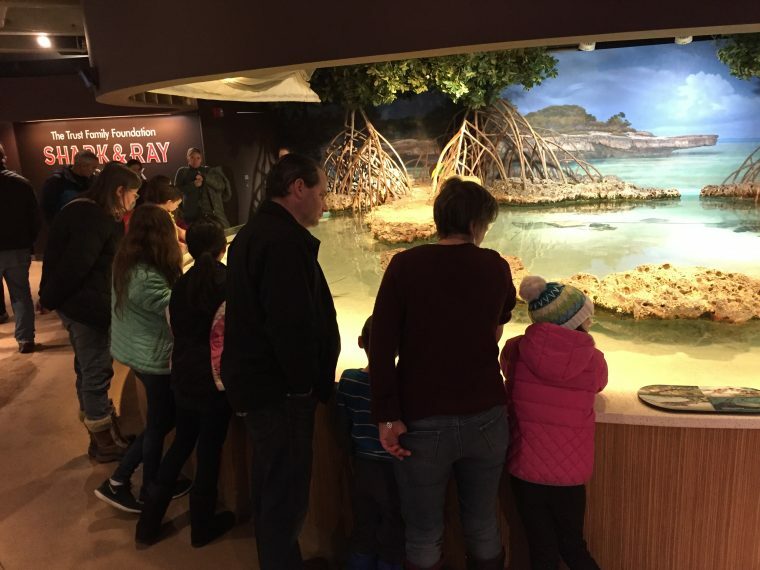 After the school vacation week crowds left for the day, our members got an exclusive, after-hours experience at the Aquarium. 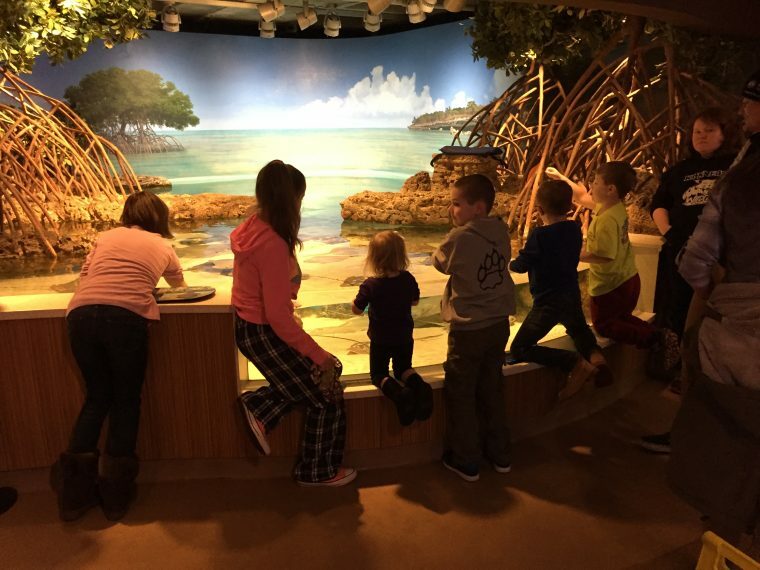 Attendees enjoyed a quieter Aquarium environment while visiting their favorite exhibits. 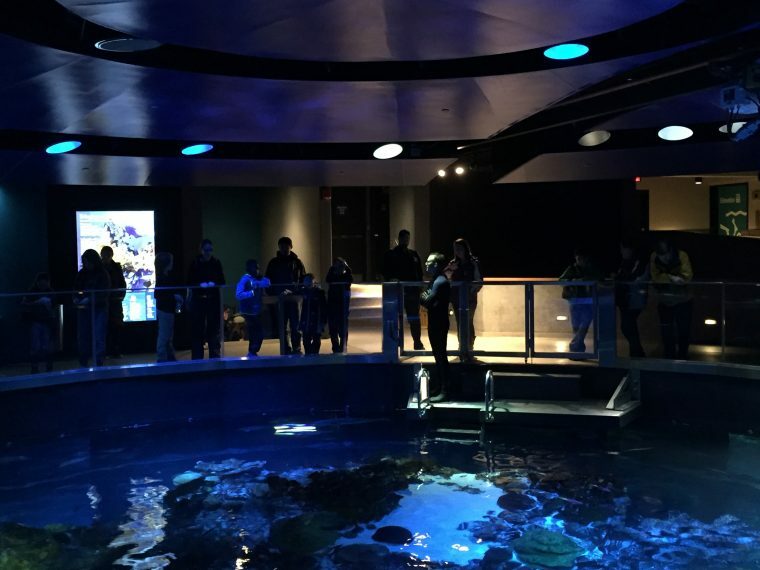 They even got some one-on-one time with one of our divers, talking about our Giant Ocean Tank and its many fascinating inhabitants. If you weren’t able to join us, rest assured, we’ve got more Dive In! members-only open houses planned for 2018! Stay tuned to neaq.org/memberevents for details on these events and plenty others as they develop. Not a member? Don’t miss out on great opportunities like this. Join now online or call the Membership Office at 617-973-6555 to upgrade. Also, be sure to subscribe to SeaMail to receive all your up-to-date news from the Aquarium. If you have any questions, please email members@neaq.org. Thanks again, members! And Happy New Year from your friends at the New England Aquarium.